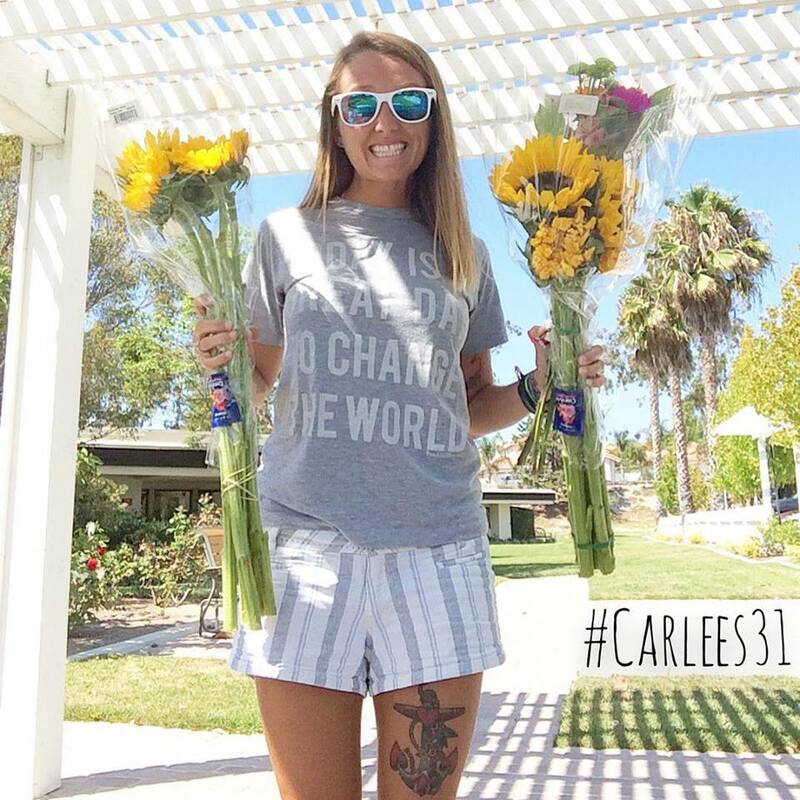 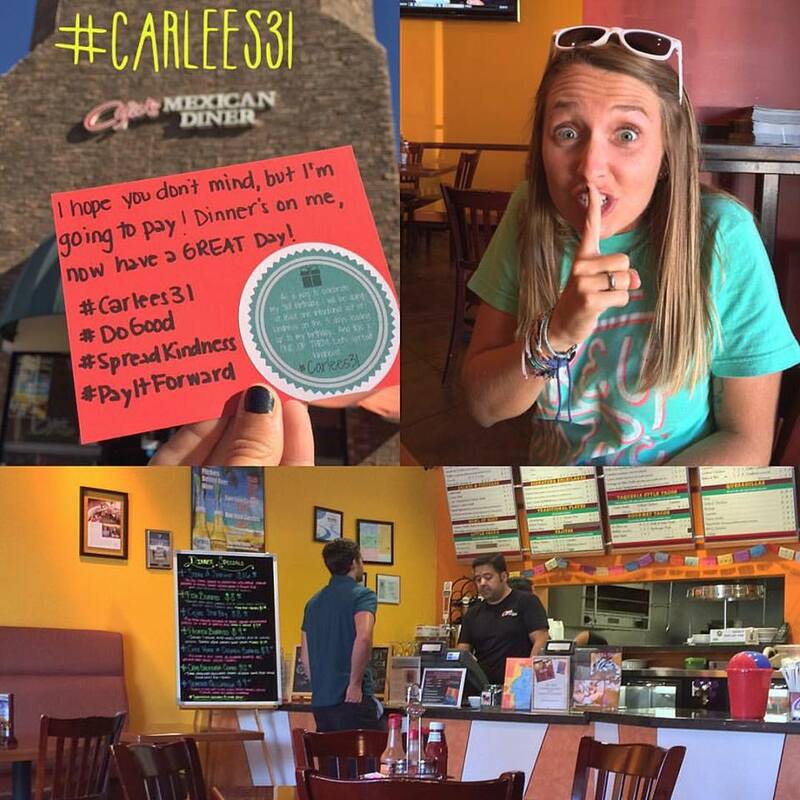 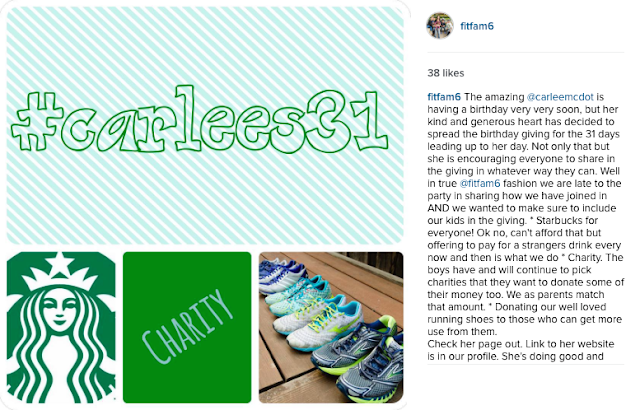 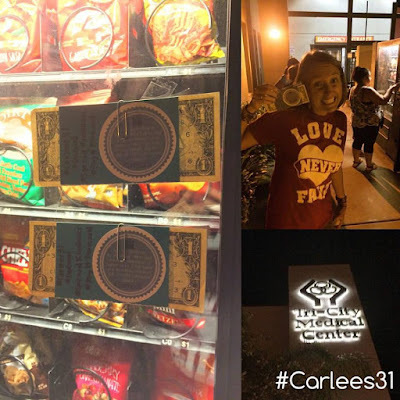 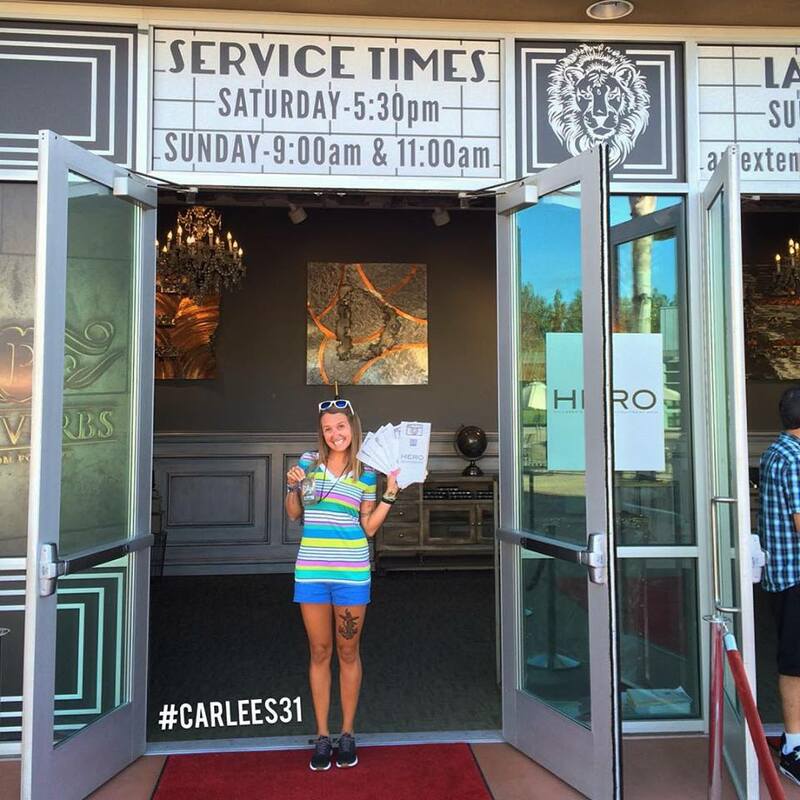 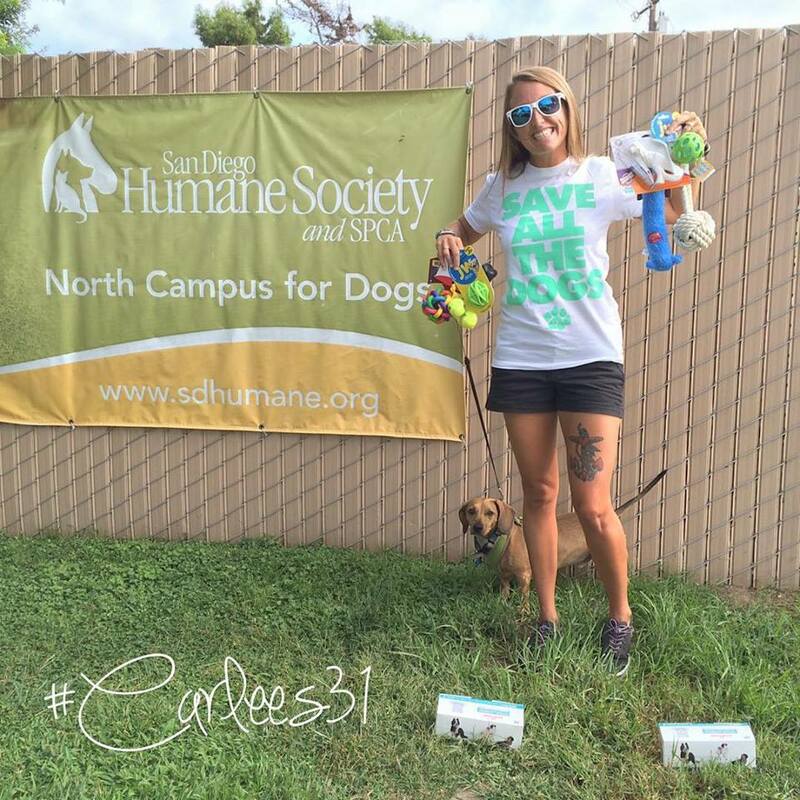 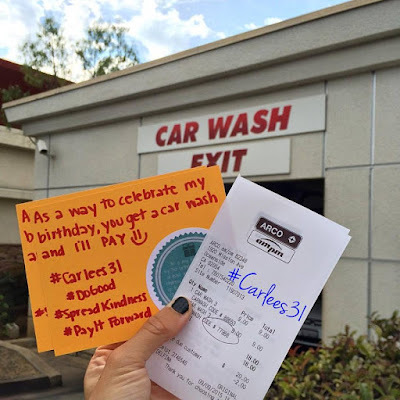 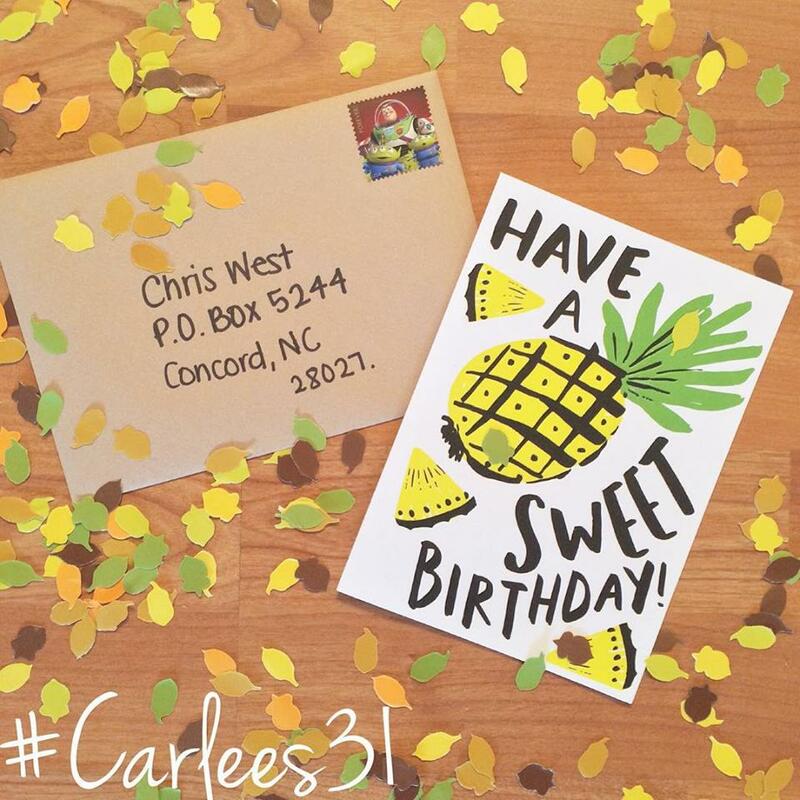 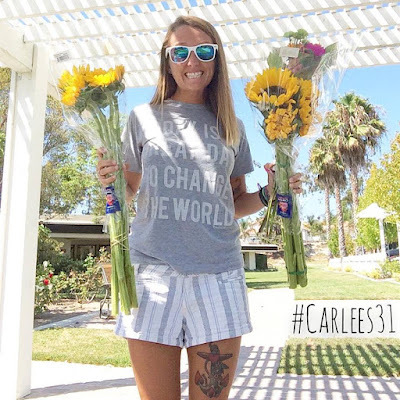 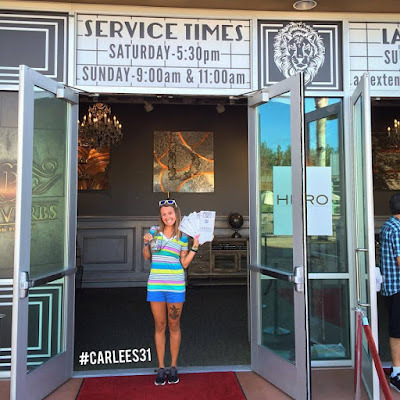 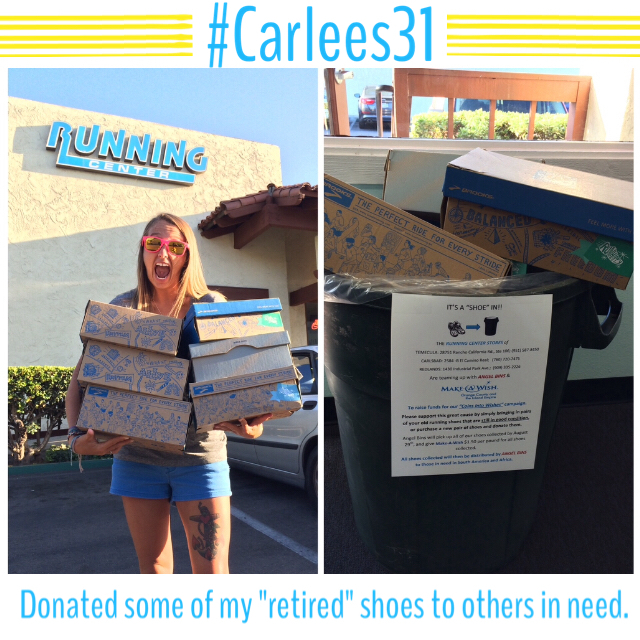 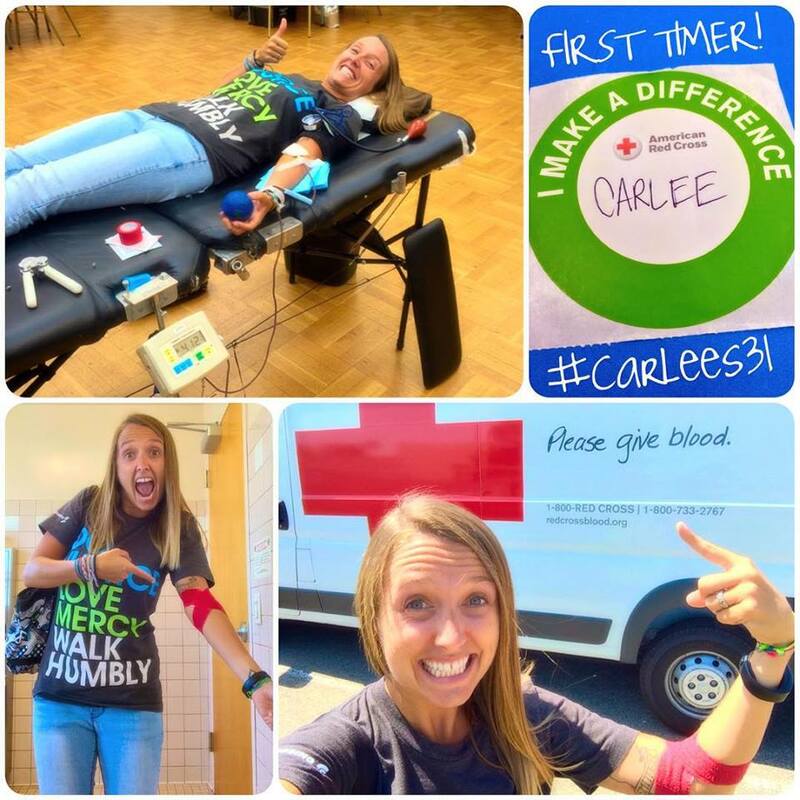 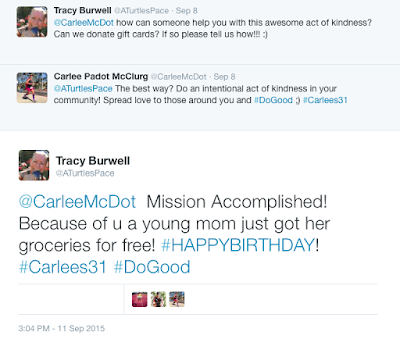 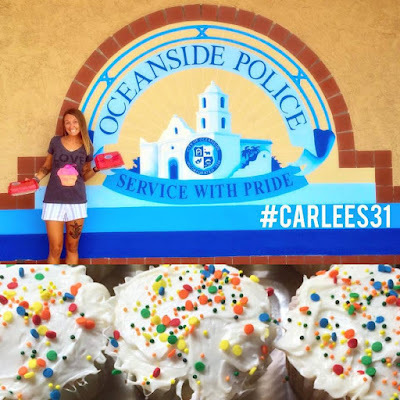 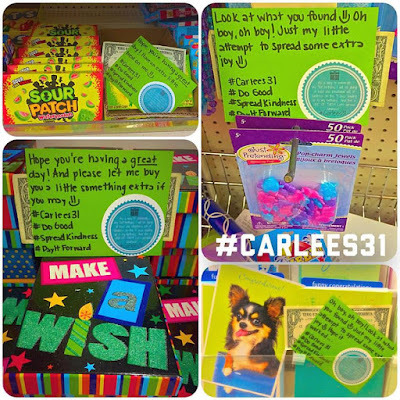 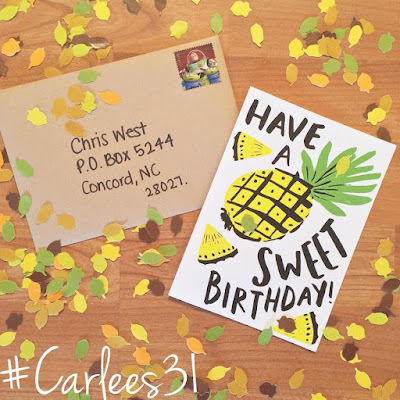 I don't know if you remember this original post about #Carlees31 or if you follow me on social media and have noticed it, but for my 31st birthday, instead of asking for gifts, I decided I would ask family and friends (and YOU) to do intentional acts of kindness in my honor. 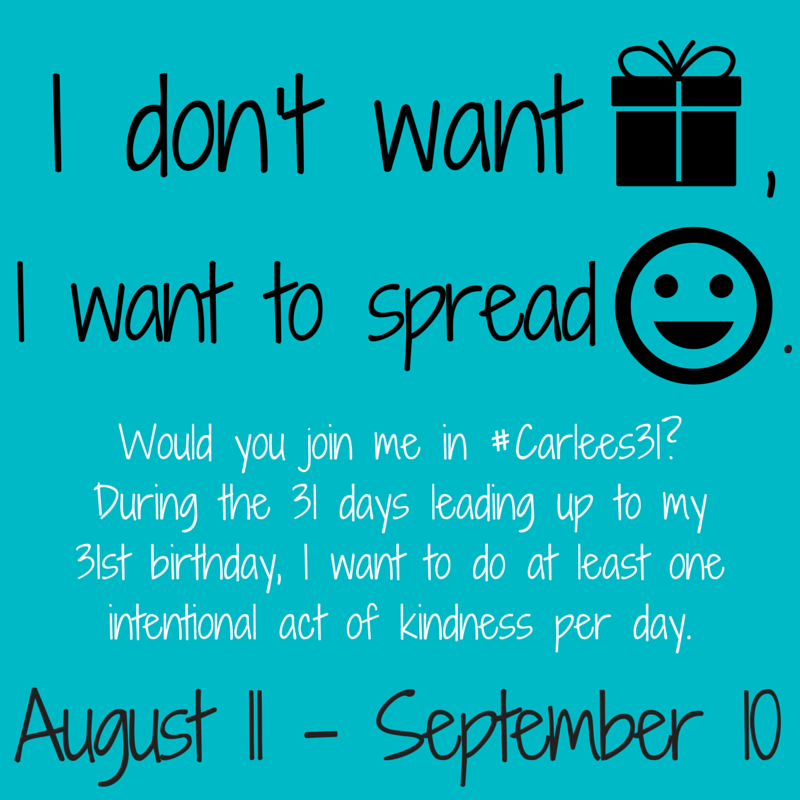 I did the project for the 31 days leading up to my birthday. 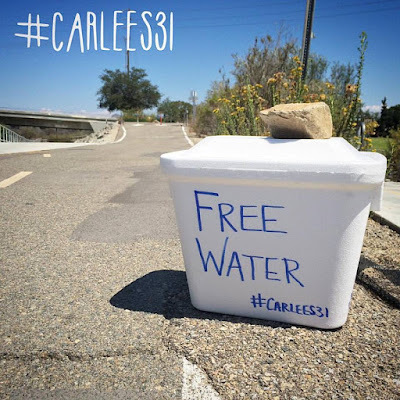 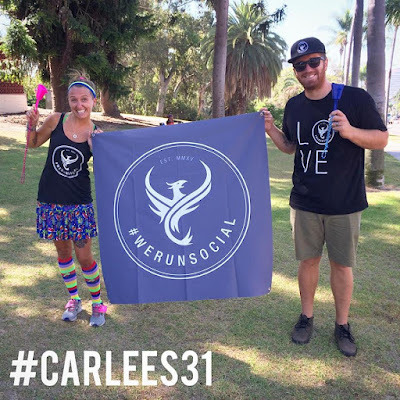 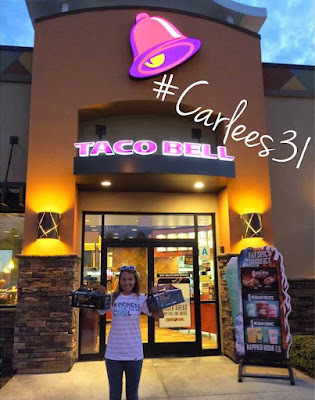 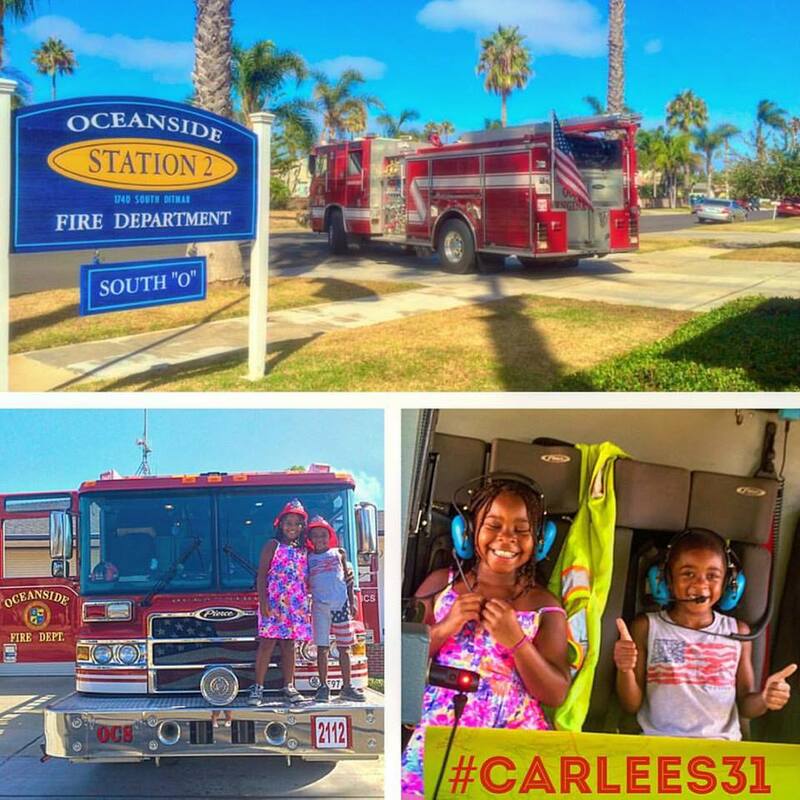 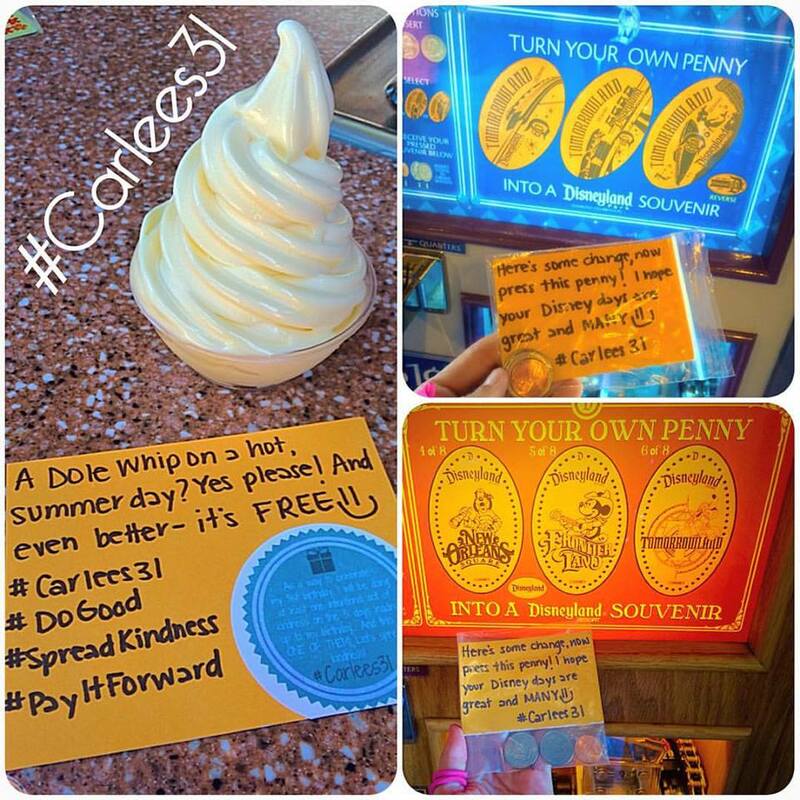 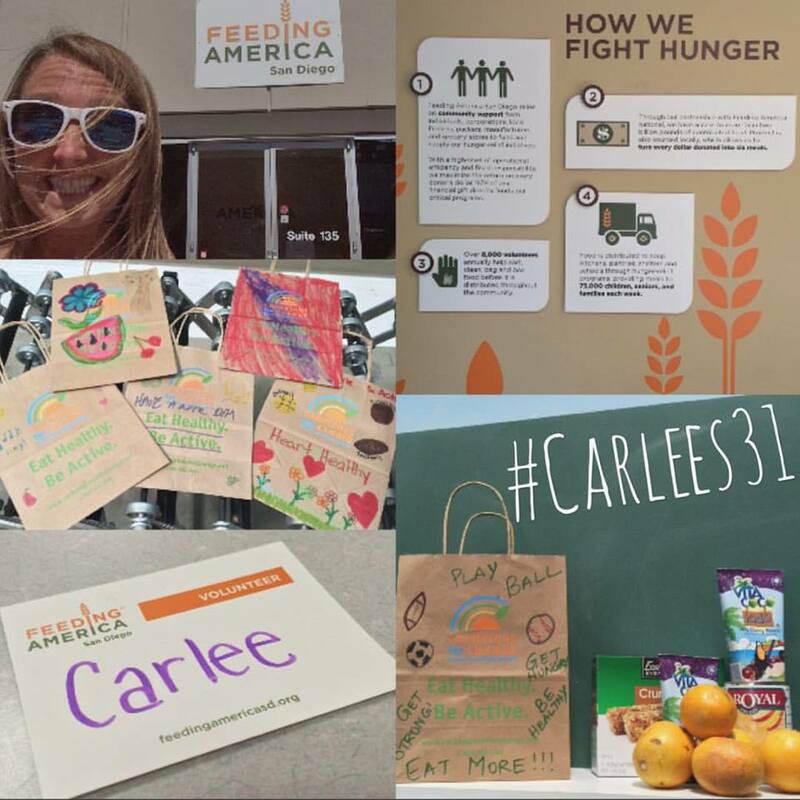 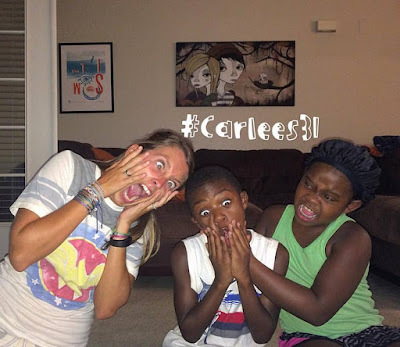 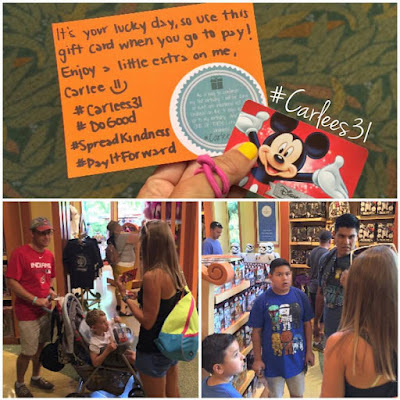 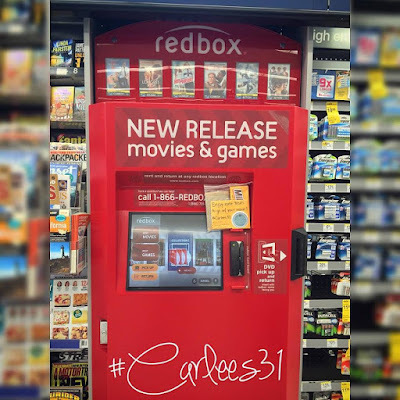 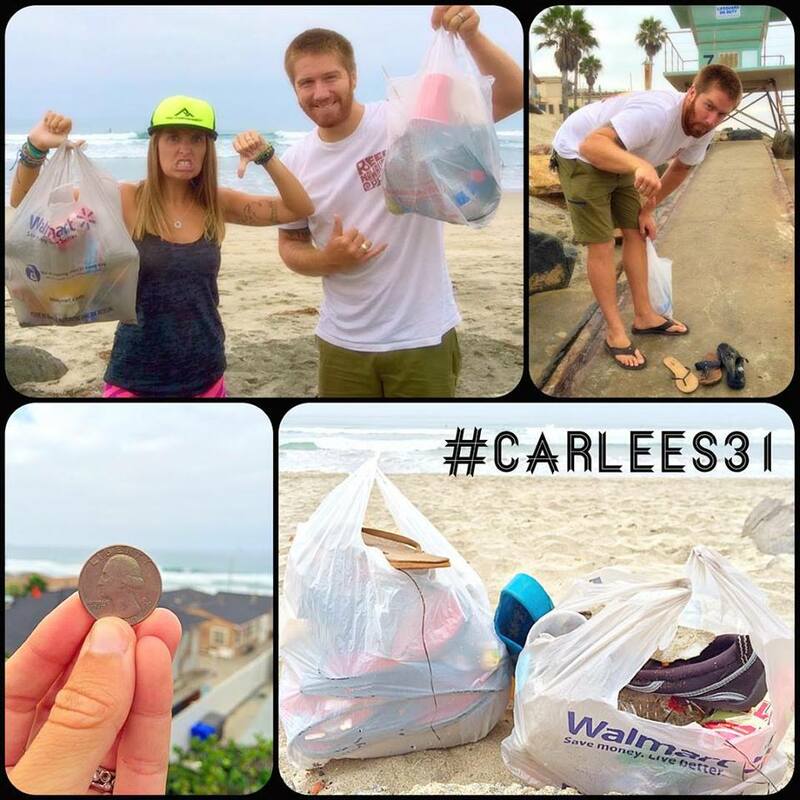 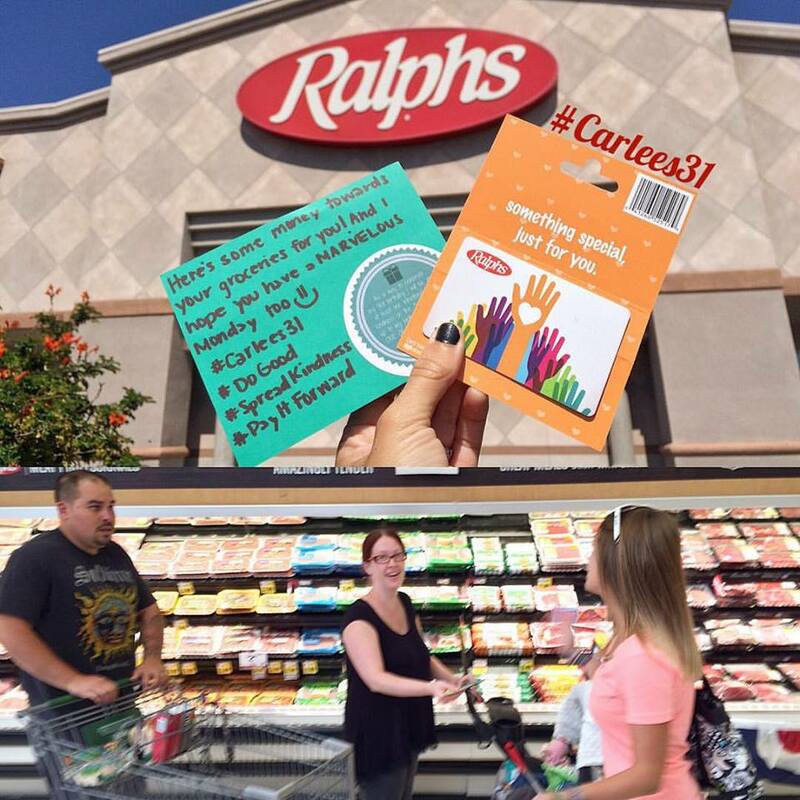 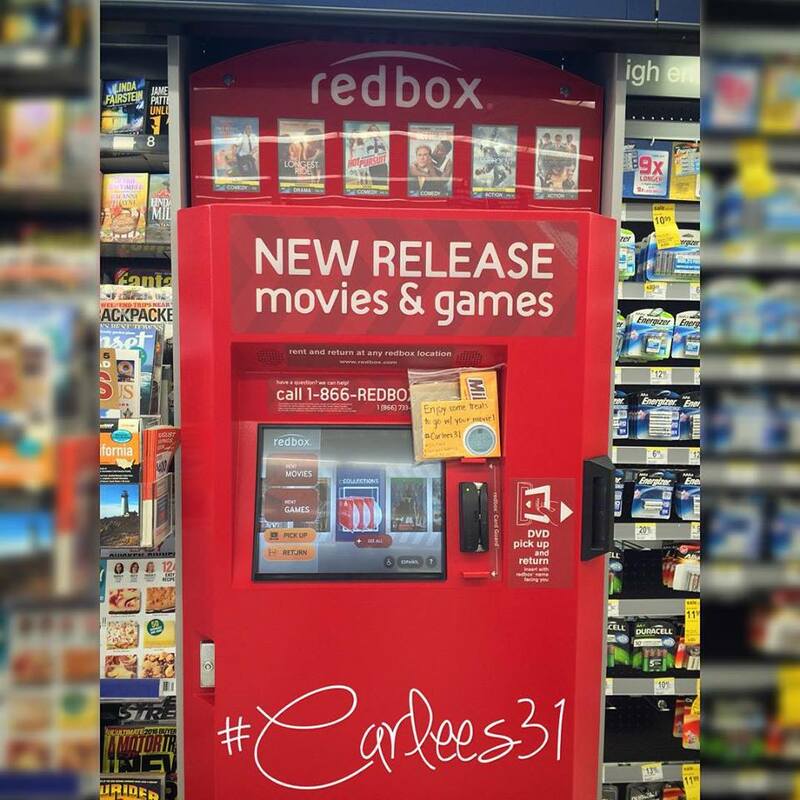 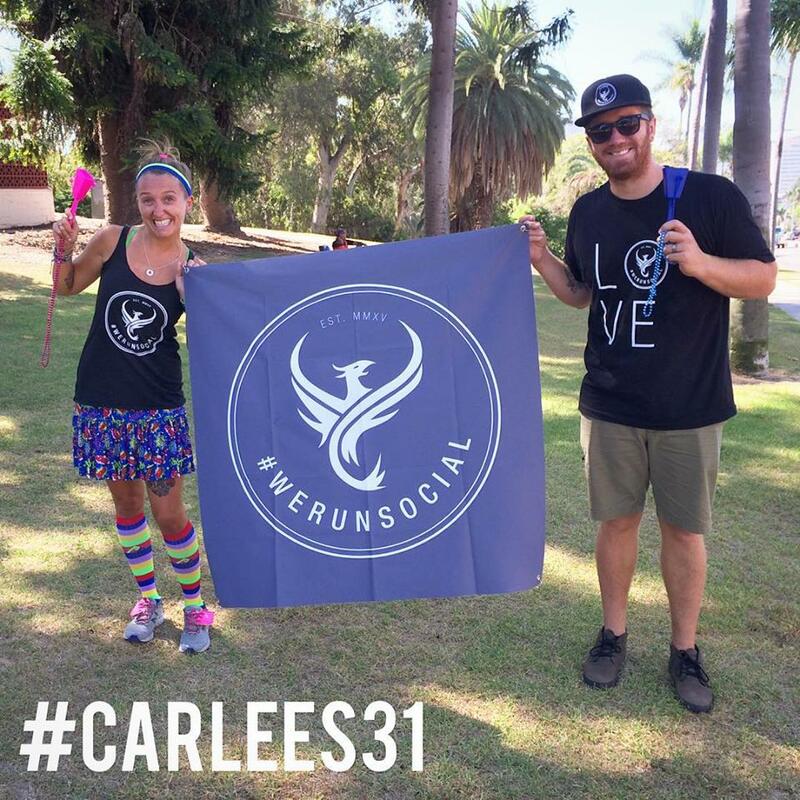 I thought it would be great to recap the #Carlees31 project - that way if I wanted to do it again (or if others were looking for fun ways to spread kindness) they would all be in one spot. 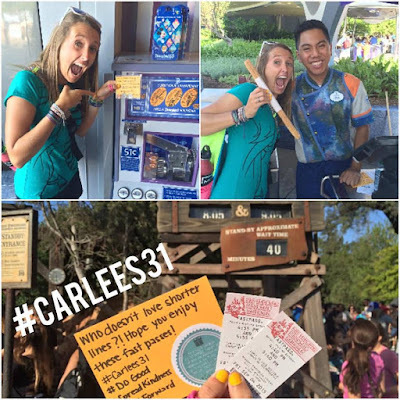 Day 25 - Disneyland Day - Gave out fast passes, offered change to folks so they could press pennies, and bought an unsuspecting guest a Churro. 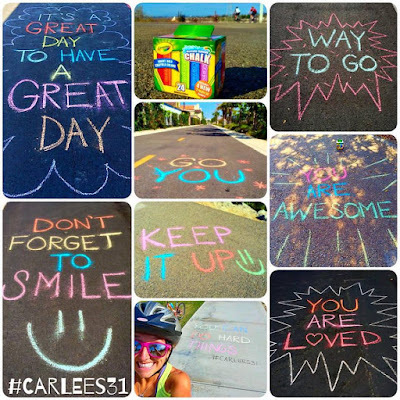 I have had some folks ask which day was my favorite. 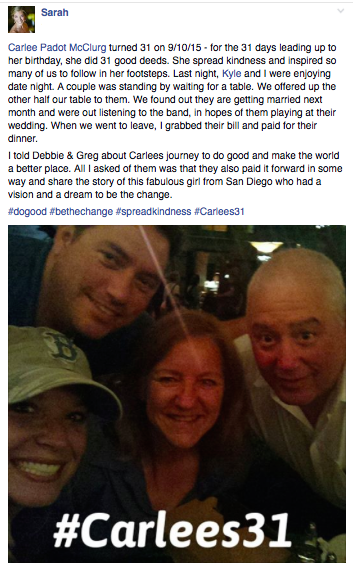 To be honest, they were all AMAZING! 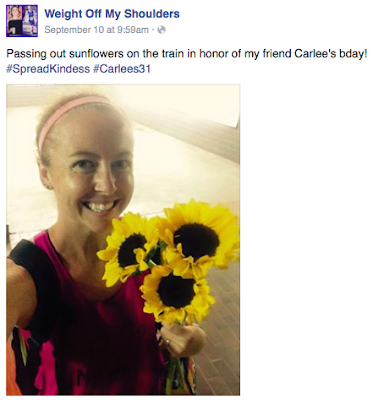 I loved being a light and spreading a little extra love to those around me. 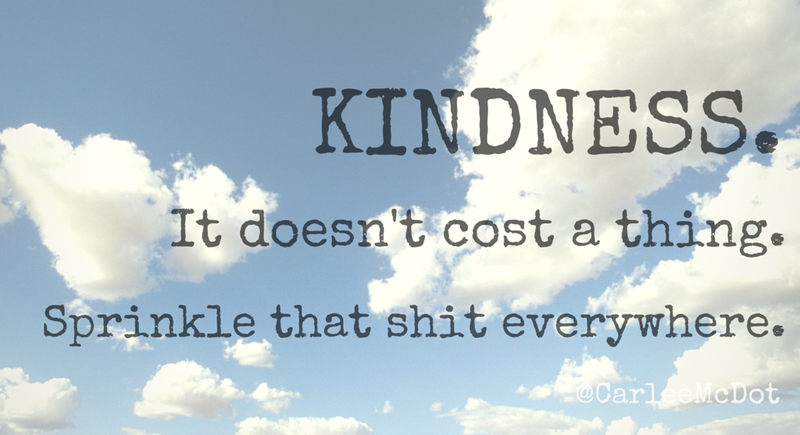 It's sort of sad how little kindness there is these days, so much so that people are confused when you try to be nice just to be nice... Don't you worry, though, that won't stop me! 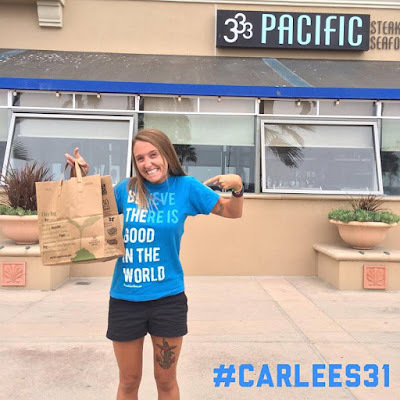 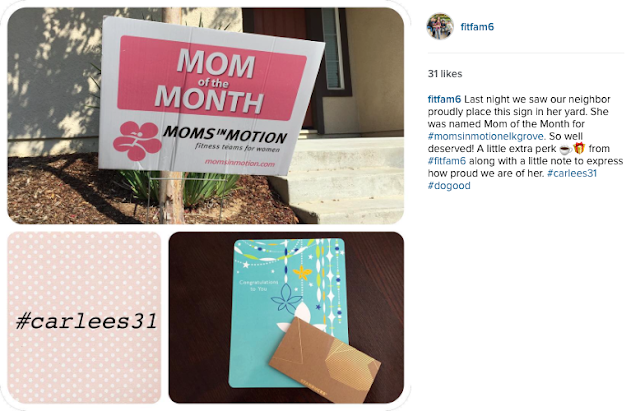 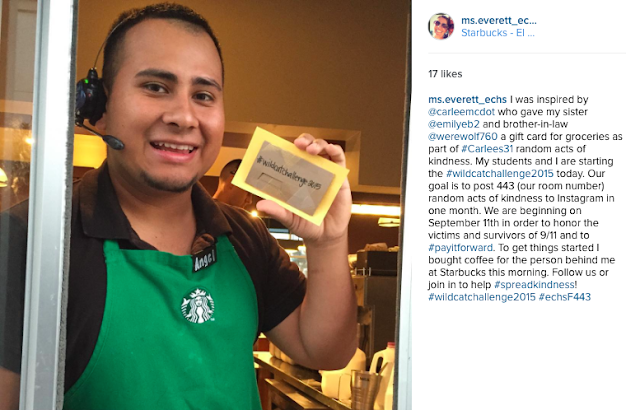 And last, but NOT least (it is actually the BEST in my opinion), Ms. Everett, who is the sister of the recipient of our grocery gift card, is challenging her students at El Camino High School to do 443 INTENTIONAL ACTS OF KINDNESS (that's their room number) in the next month. 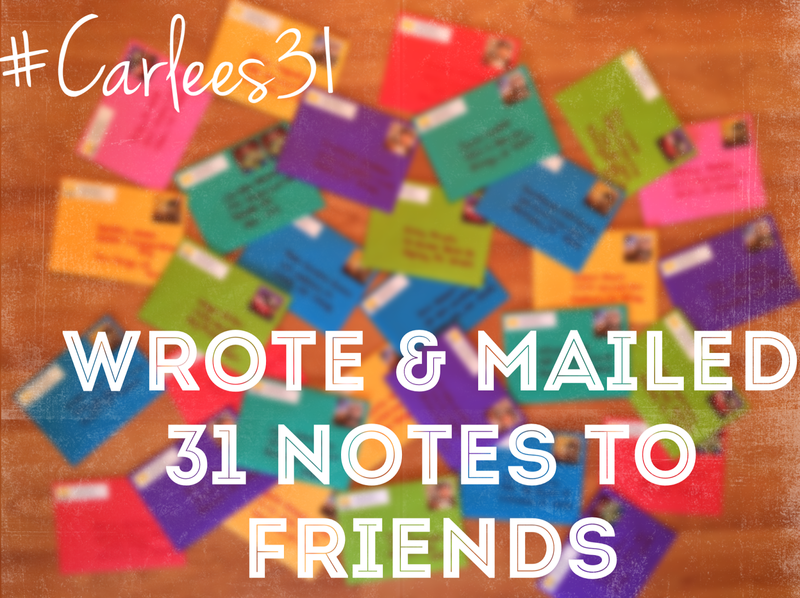 I have honestly been FLOORED by every one's kindness. 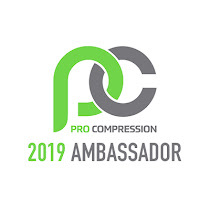 I wasn't sure how the project would be received - if folks would think I was just looking for accolades or some sort of praise (which, by the way, was the exact OPPOSITE of what I wanted), but for the most part, people "got it" and even started spreading the word through their own acts! 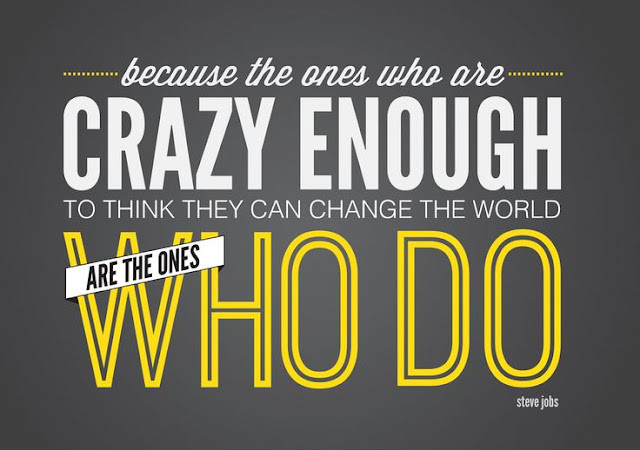 You often hear that one person doesn't matter... DON'T BELIEVE THE LIE! 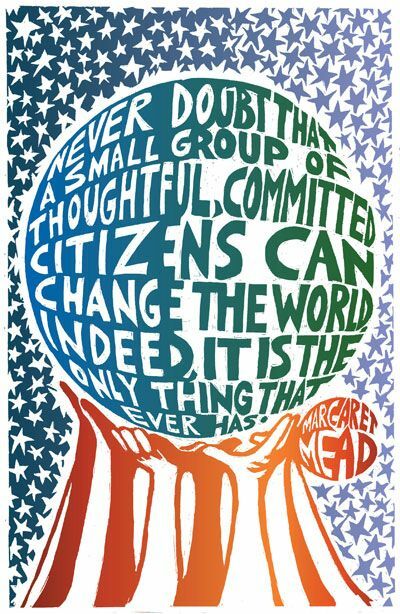 WE CAN CHANGE THE WORLD! 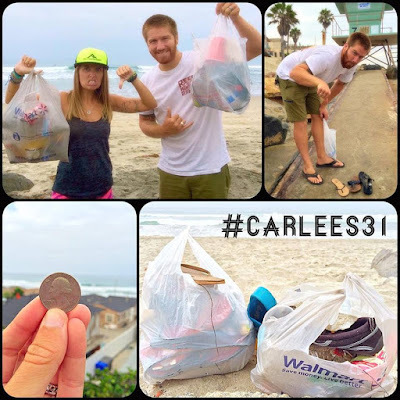 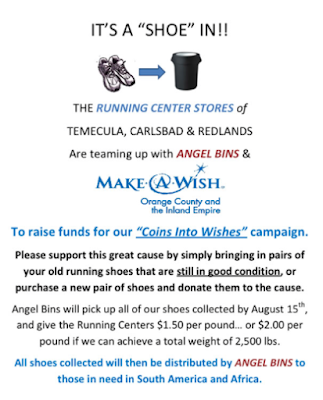 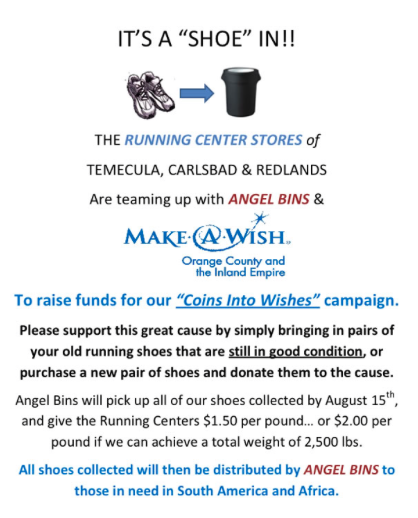 WE CAN MAKE A DIFFERENCE! 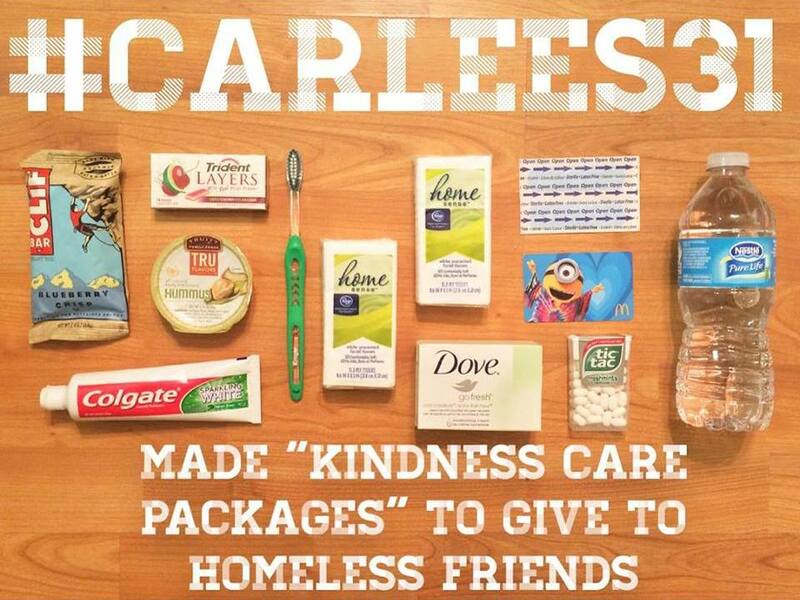 Let's keep the kindness going! 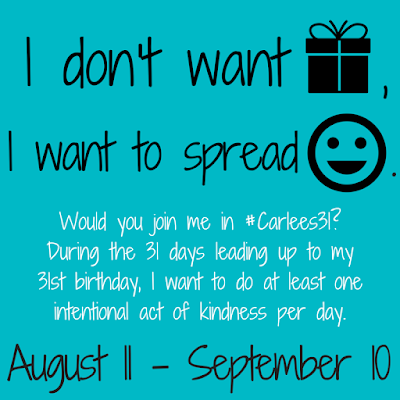 I'd love for this to keep growing and spreading - I mean, I am 31 for a full year, right?! 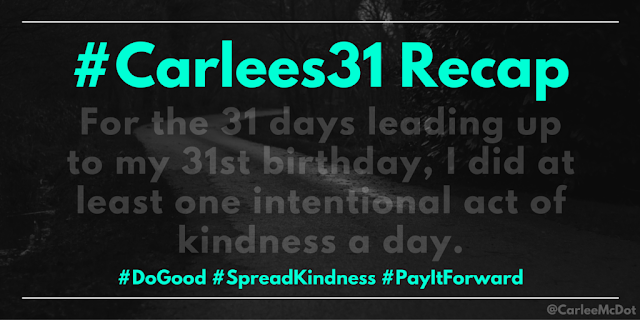 Whether that means you do an act of kindness here or there, spend your birthday doing good, set a goal to give to volunteer with your family over the holiday season, etc. 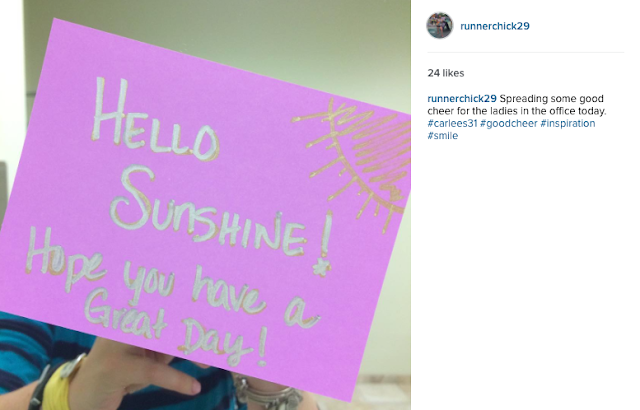 Whatever it is, SPREAD LOVE! 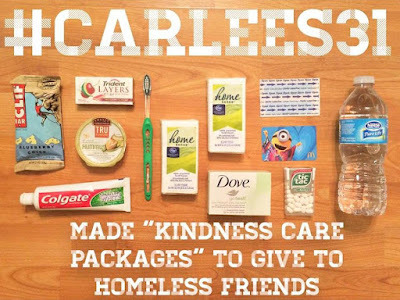 What is your favorite way to spread kindness? 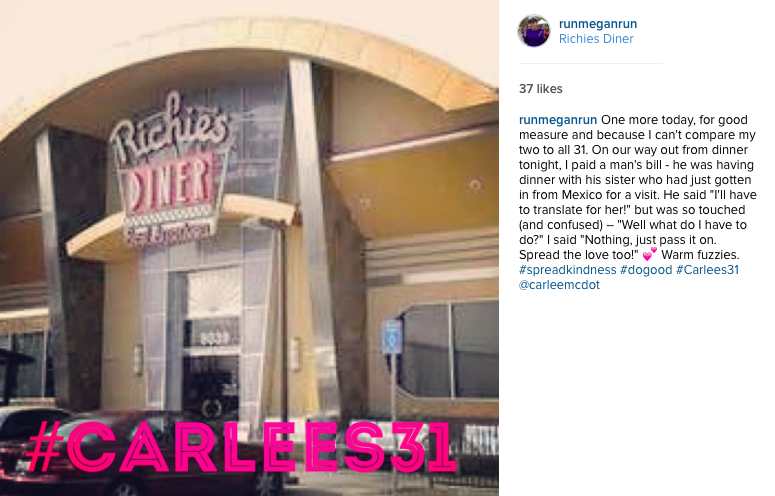 This was so fabulous, and I am so proud of you for embarking on a journey to spread love and kindness. I try to do it in my little amounts, but this was incredible generosity! 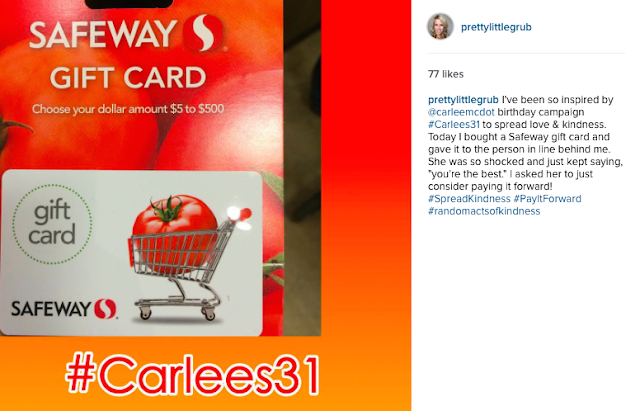 I missed so many of these on Instagram. 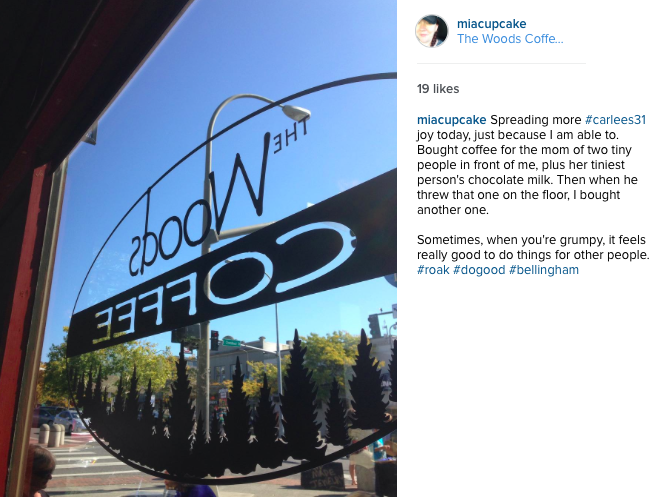 Thanks for doing this post. 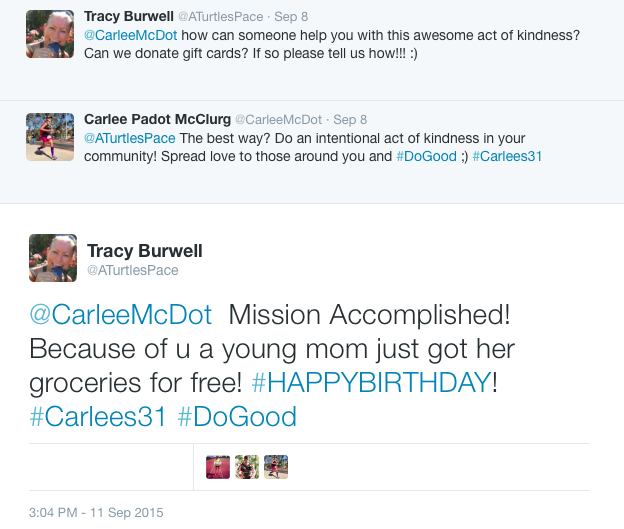 I love that you did some acts that didn't involve needing money. 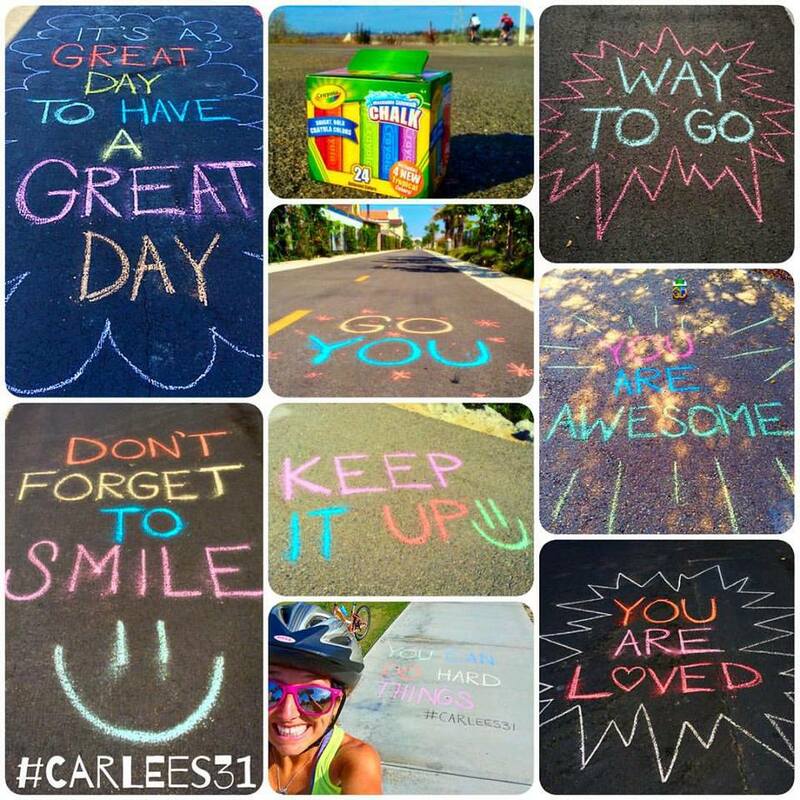 Frankly my favorite is the chalk messages. It's the easiest thing to do and could really come at just the right moment. 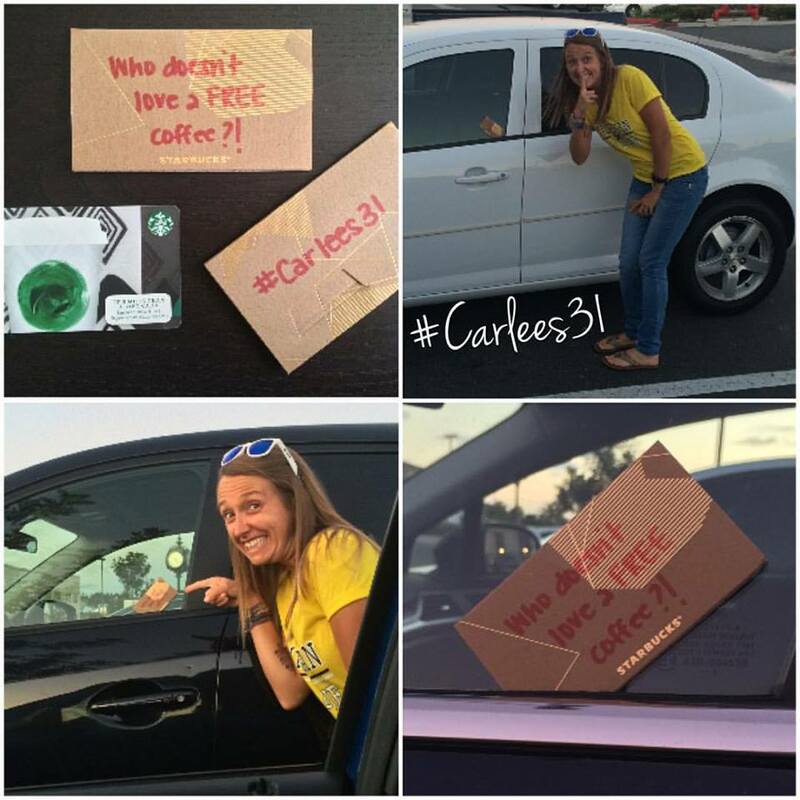 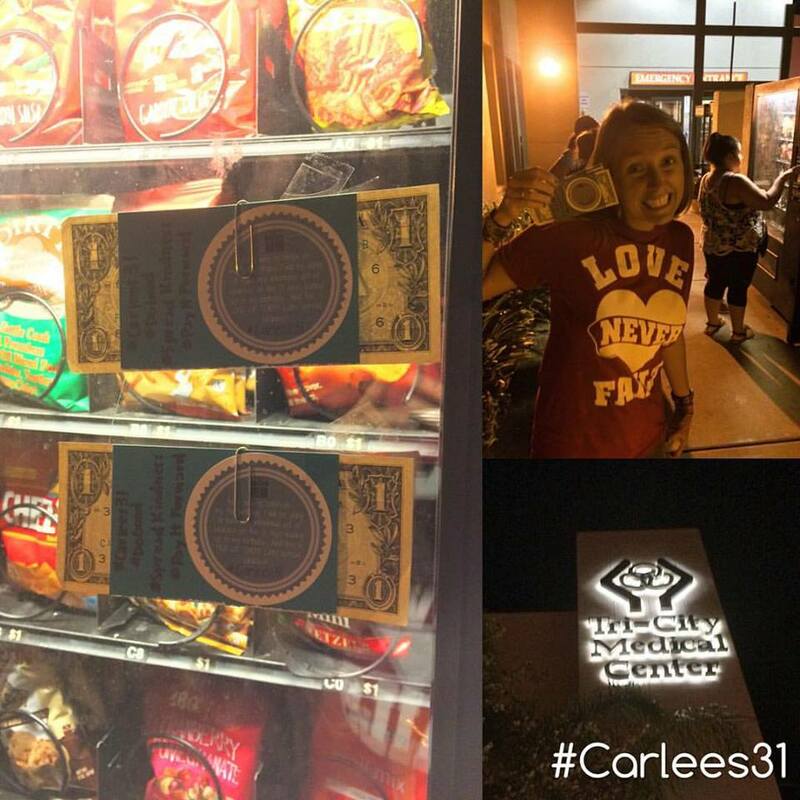 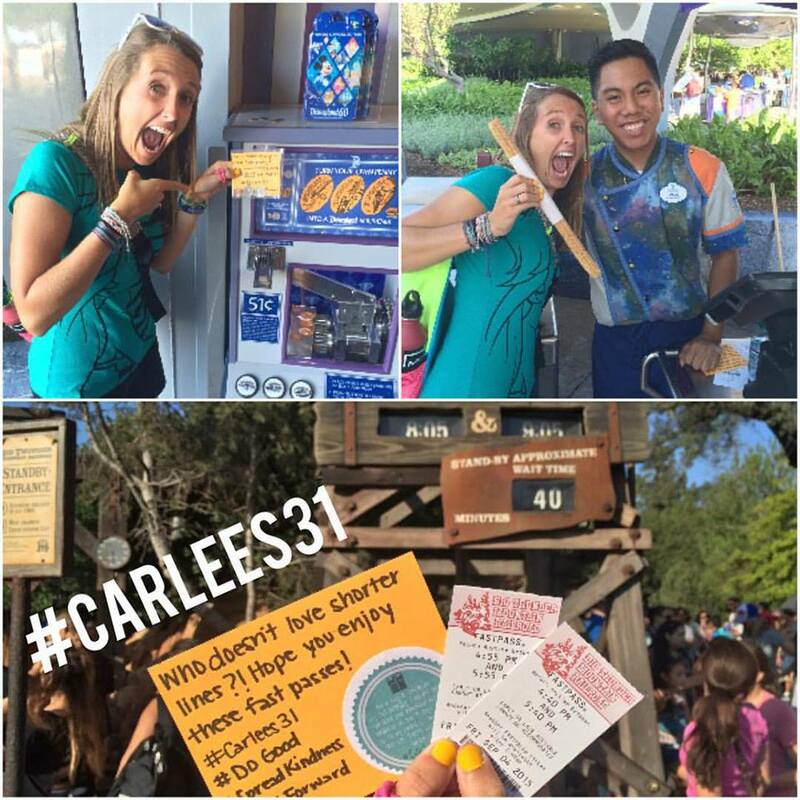 THIS is so amazing to see so many people participating in #Carlees31!!!! 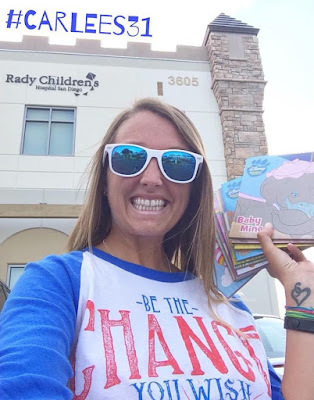 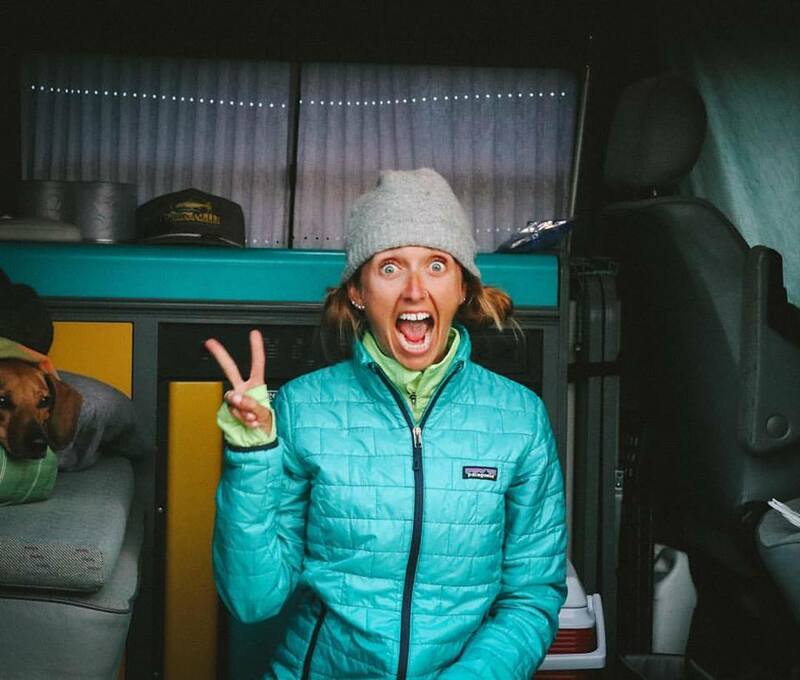 You are changing the world lady! I LOVED following this on Instagram. 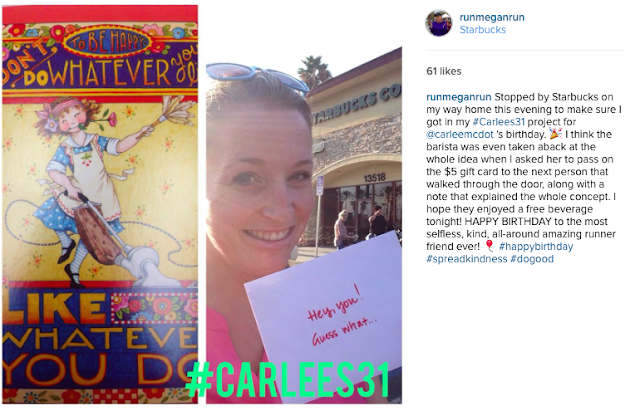 So freaking inspiring. 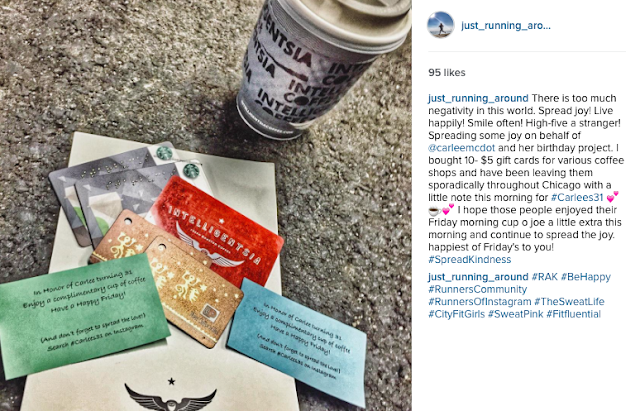 I absolutely love that you started this and the domino effect of random acts that it started. 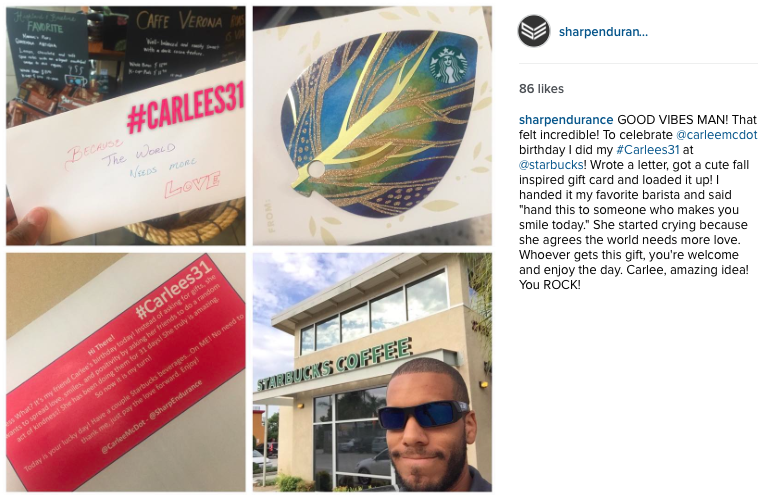 I know you aren't looking for accolades but you are amazing! 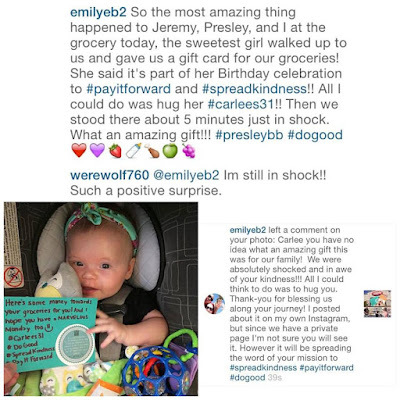 Wow, you are amazing. 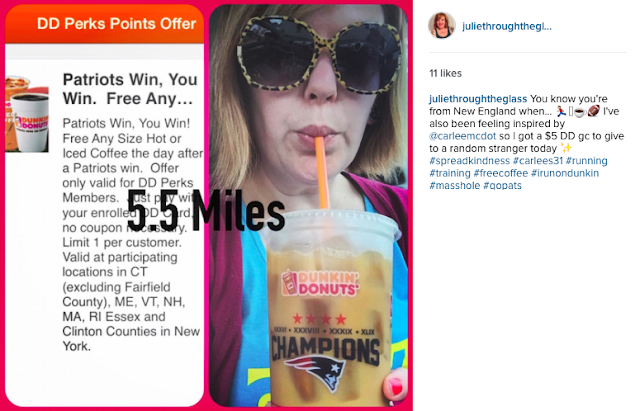 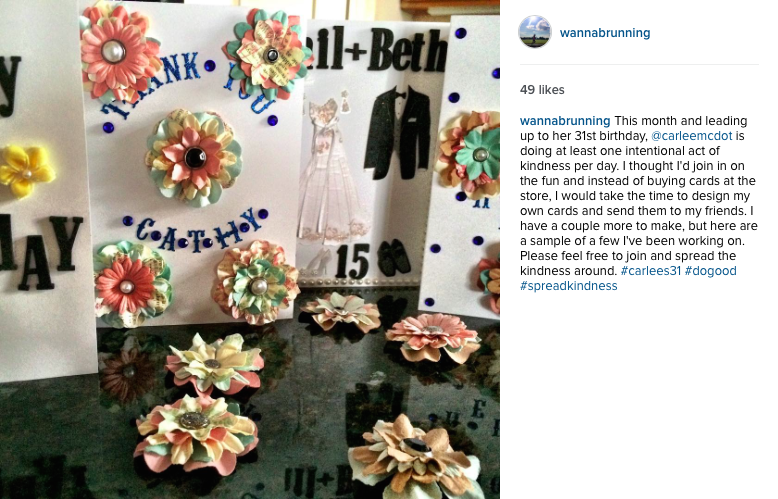 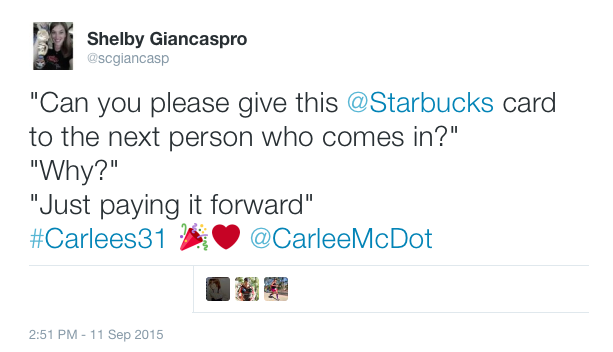 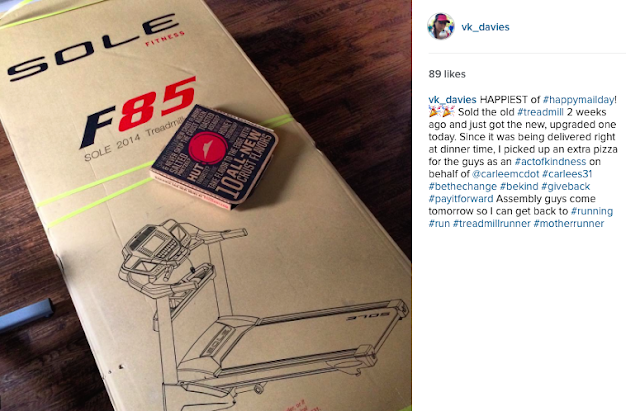 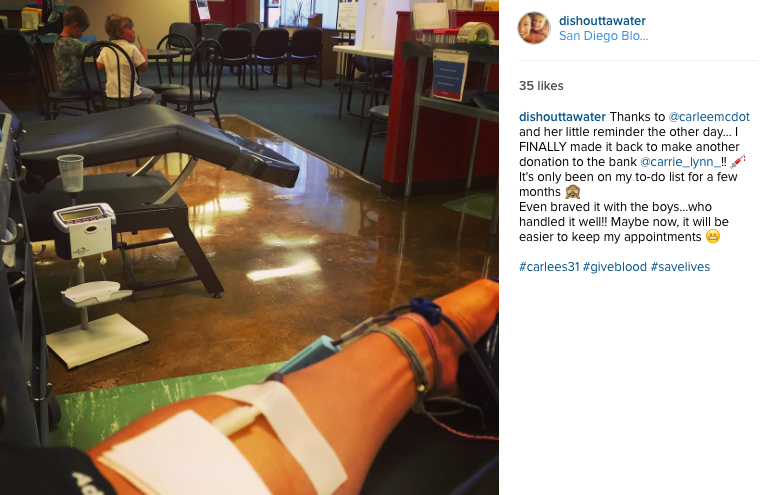 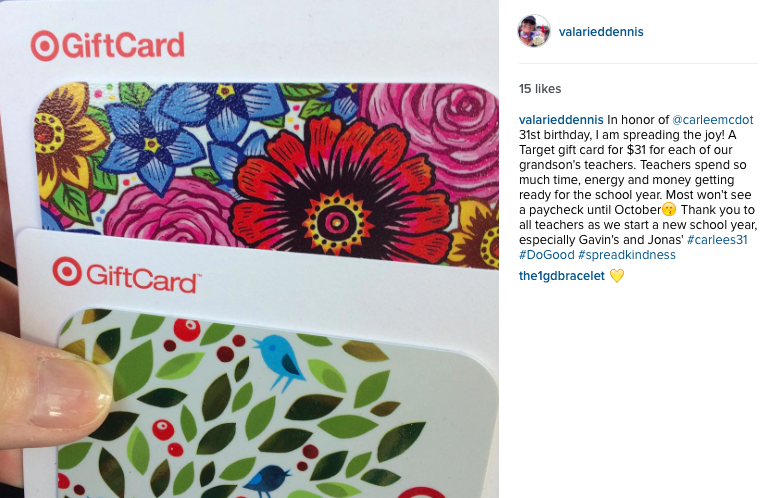 I'm so inspired by your do-goodness that I want to do this too for a complete stranger. 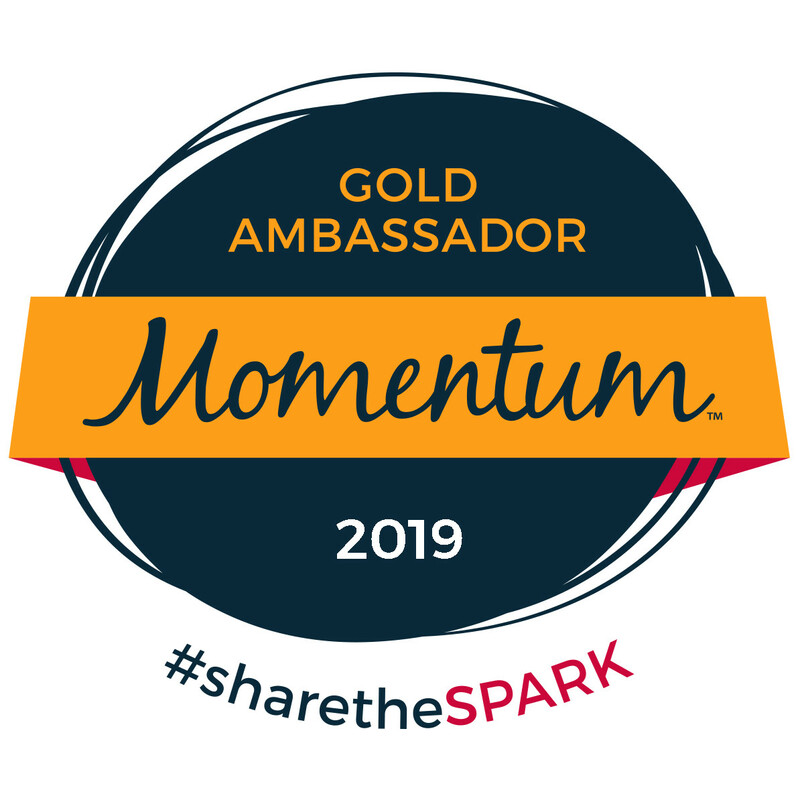 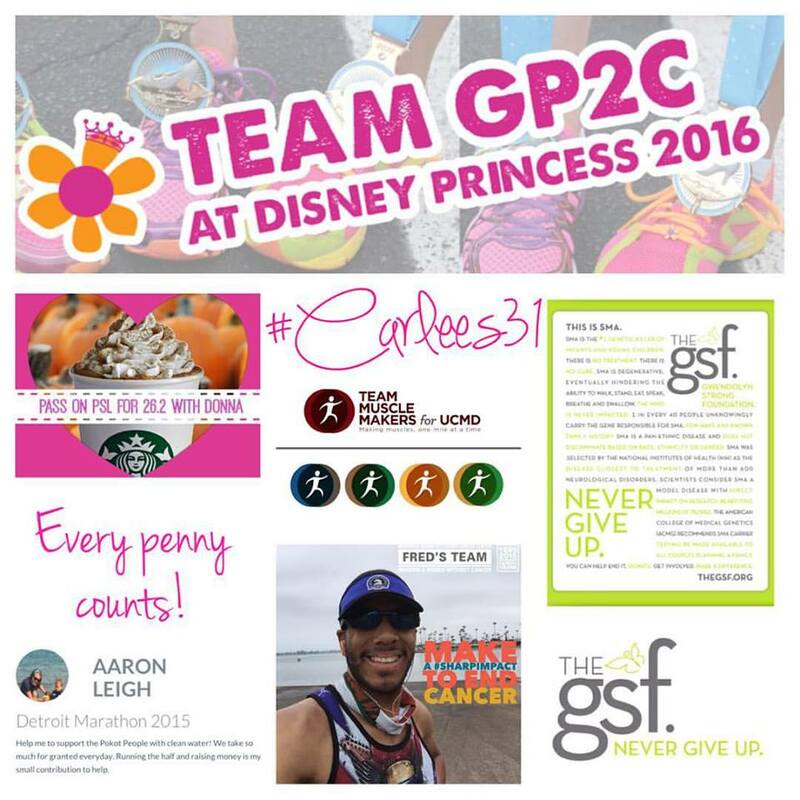 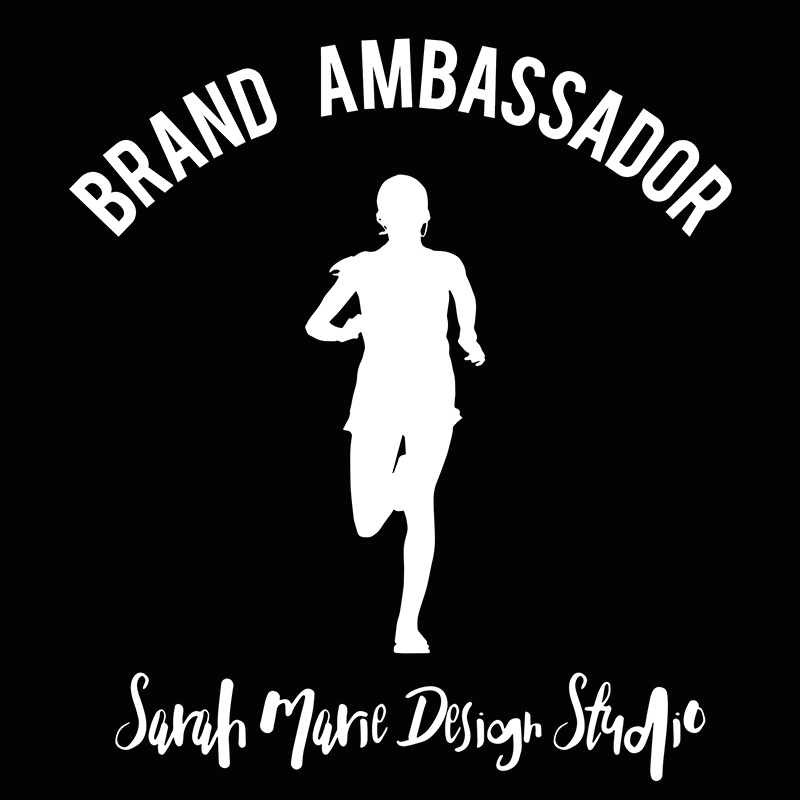 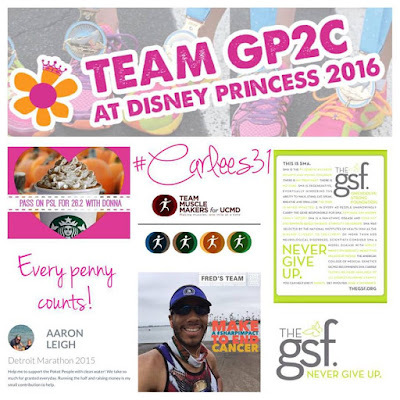 Just started following your blog because of your rundisney posts and was impressed with your mission. Amazing Carlee! 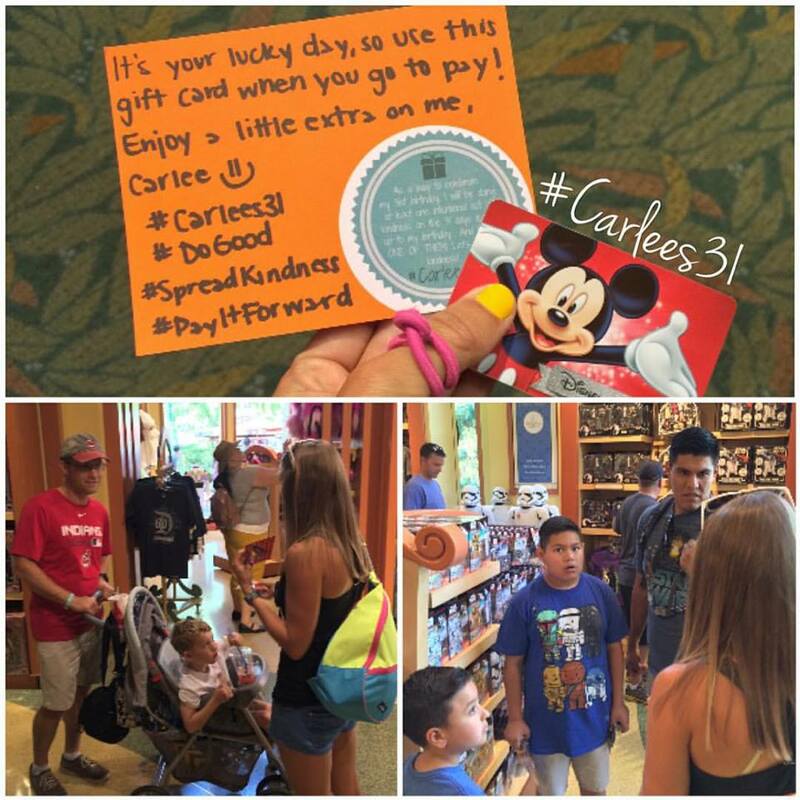 Spread kindness is priceless but gives you back such a great experience! 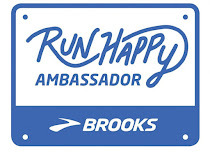 And your heart is full of happiness now. I think everybody should do at least one random act of kindness.